This is so YUMMMMMMMMMMMMMMMM! Fish batter is so light and crispy and fish is sooooo flaky. Love the sirachi sauce and the coleslaw, so light nicely seasoned. I need another order. Going back to get one now. 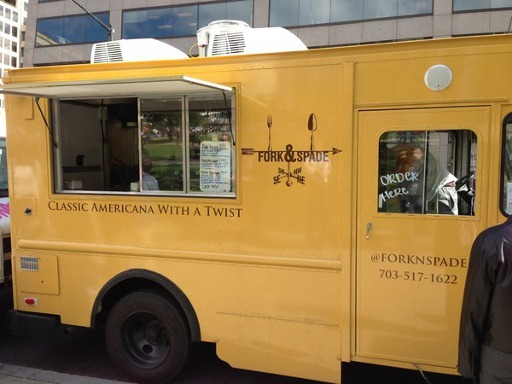 Fork and Spade food truck uses ingredients raised or grown on the area’s many local farms. They haven’t tweeted since December 2012, so I think they’ve retired. 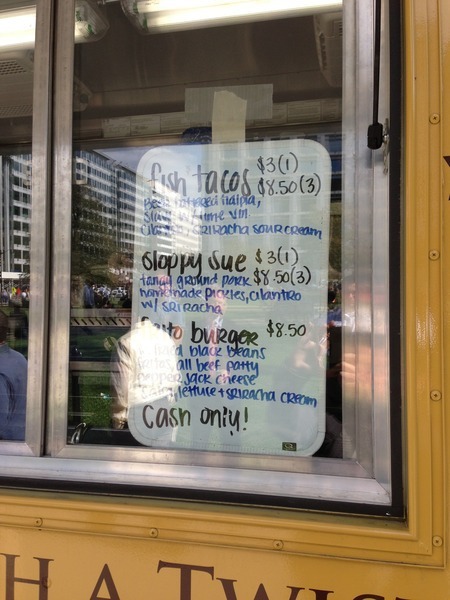 Truck and menu photos, courtesy of LOWswimmer – check out her DC food truck review blog!